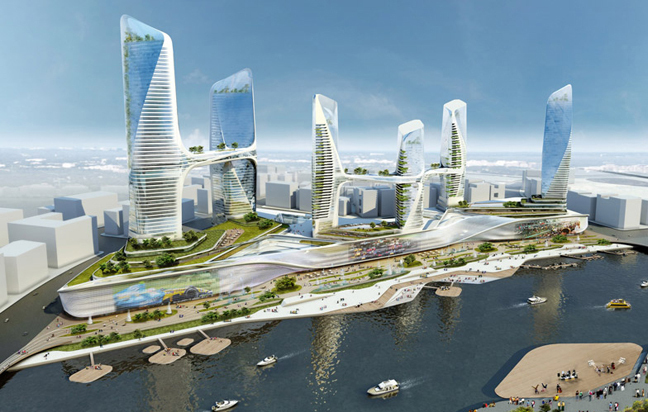 Dutch architects UNStudio have designed a concept for a new business district at Tonghzou in Beijing, consisting of skyscrapers linked by aerial bridges. 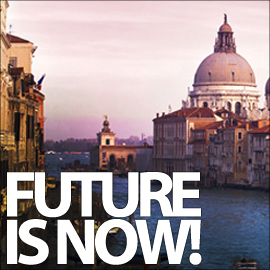 The proposal features six towers atop a large podium that are linked by bridges topped with gardens and swimming pools. 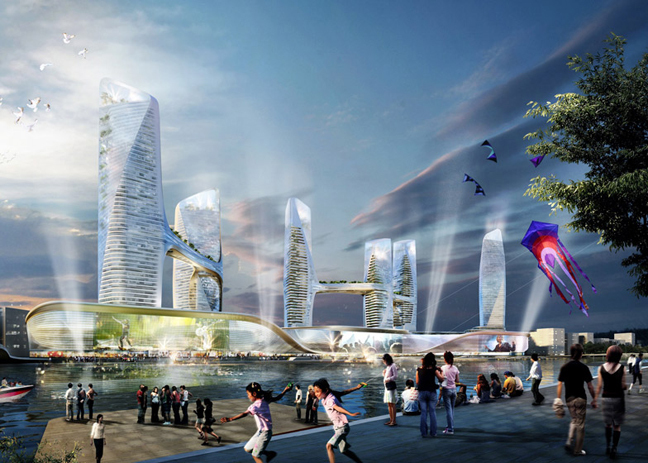 The development, proposed for the Tongzhou district twelve miles east of central Beijing, would create a million square metres of retail, apartments, offices, hotels and transportation infrastructure. 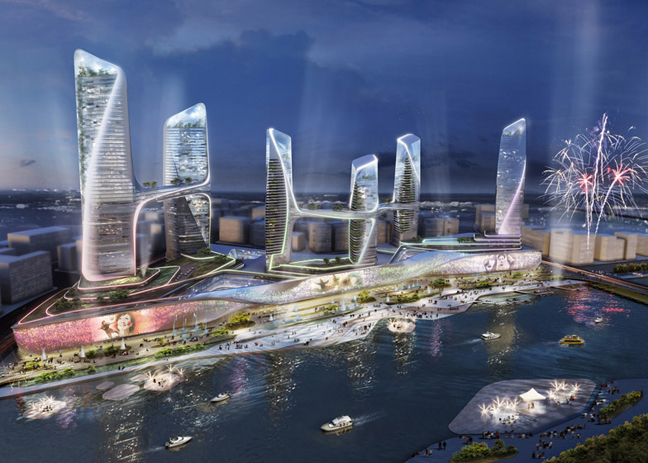 Located at the confluence of two waterways, the Tongzhou Central Business District’s waterfront podium would house shops while the towers would accommodate apartments and offices.